The primary rooms to stage in order to attract more buyers are the living room, master bedroom, kitchen, and dining room. Staging helps to present your home in the best possible light, to appeal to the broadest audience. Working with our staging partners, we offer varying levels of staging, from a consultation to virtual staging to fully furnishing your primary rooms. 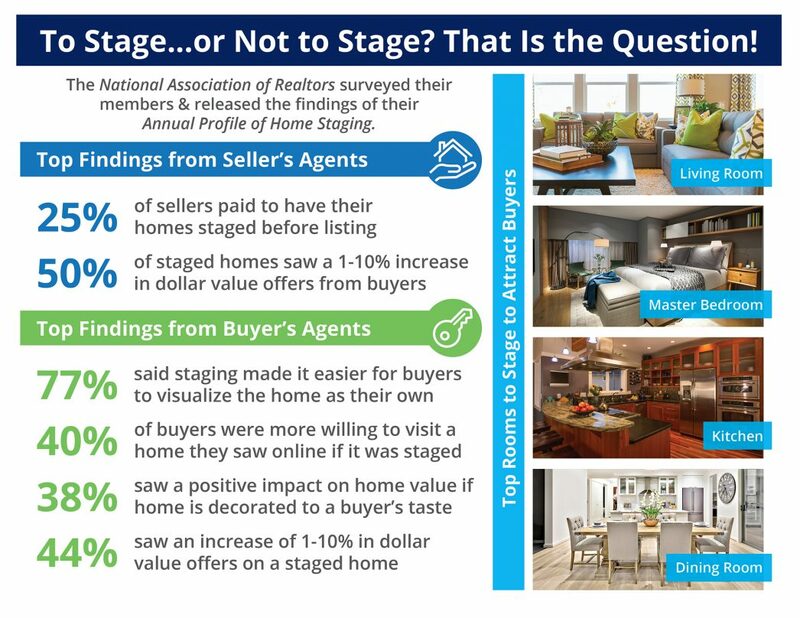 Here’s a great article on HouseLogic (provided by the National Association of Realtors) on staging advice. Contact us for a complimentary market-readiness assessment for your home.